It’s that time of year again, when the most notable superyacht launches of the year converge in the Mediterranean yachting mecca of Monaco. We’ve curated only the most innovative and interesting yachts from the top builders – be sure to find your way on board during the 2016 Monaco Yacht Show. 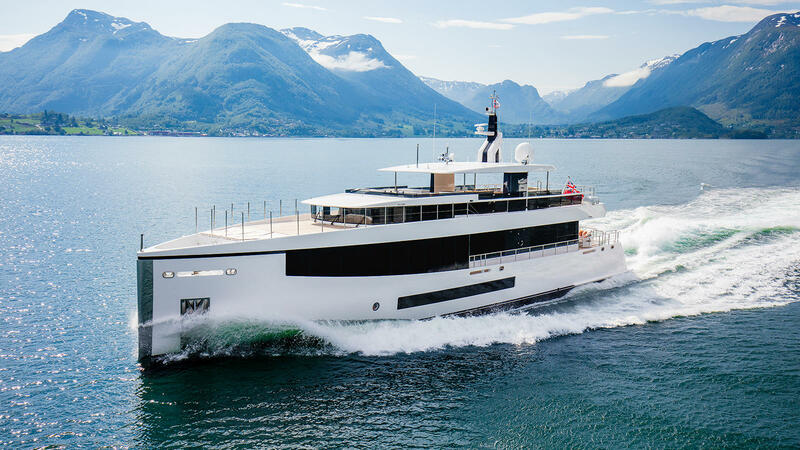 A beach house on the sea was the brief for 45 metre Heesen superyacht Amore Mio, whose owners chose to remove the spa pool to make room on the sundeck for yoga. This yacht is packed with water toys, clever storage and innovations, such as self-deploying man overboard devices. She stands out on the water with a blunt-nosed bow and sharp lines by Omega Architects. 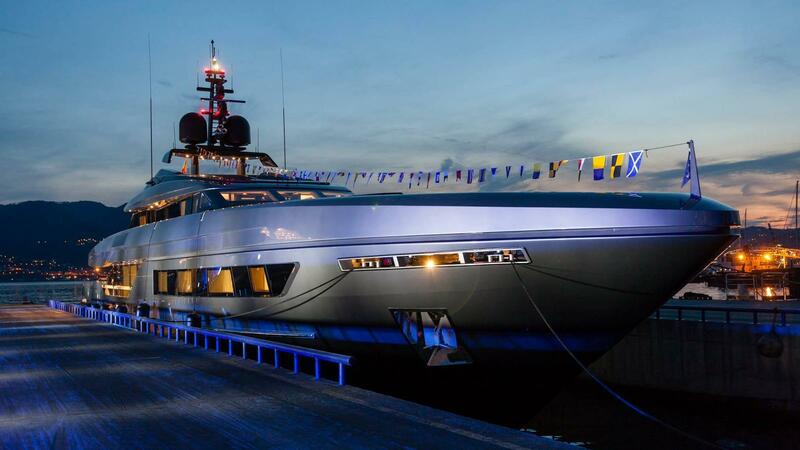 Baglietto’s new 46M Fast line is true to its name, hitting top speeds of 28 knots. The all-aluminium yacht marks an evolution of previous models, designed by long-time Baglietto collaborator Francesco Paszkowski. Rakish, rectangular and contemporary lines give the 46M Fast a commanding personality, and she has been designed with plentiful outdoor spaces including a lush bow lounge for soaking up the sun. 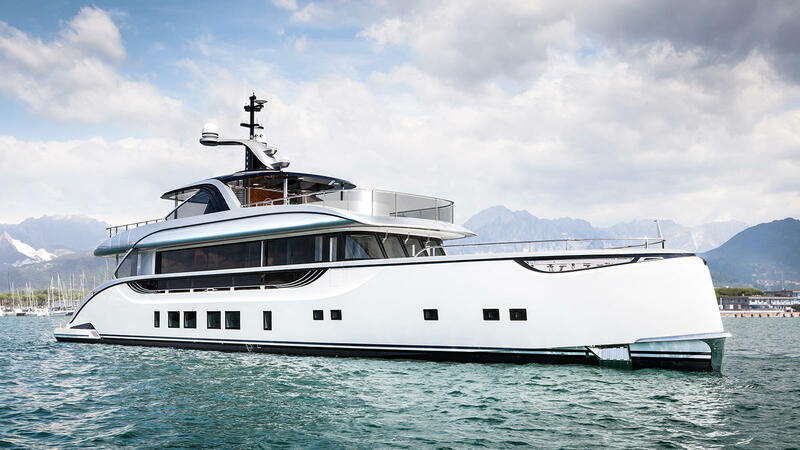 The first hull from Dutch yard Moonen’s new Matica semi-custom line, Bijoux features a convertible transom, which can fold out to create a spacious beach club. This 29.90 metre displacement yacht features interiors by Adam Lay Studio and was built for a highly experienced owner who plans to use her to explore the Caribbean. 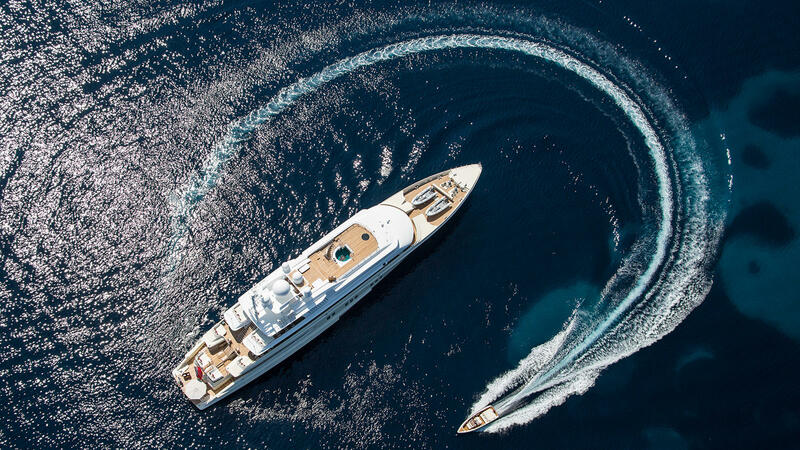 Not new, but worthy of fanfare, Lürssen’s Coral Ocean will be on display at Monaco. 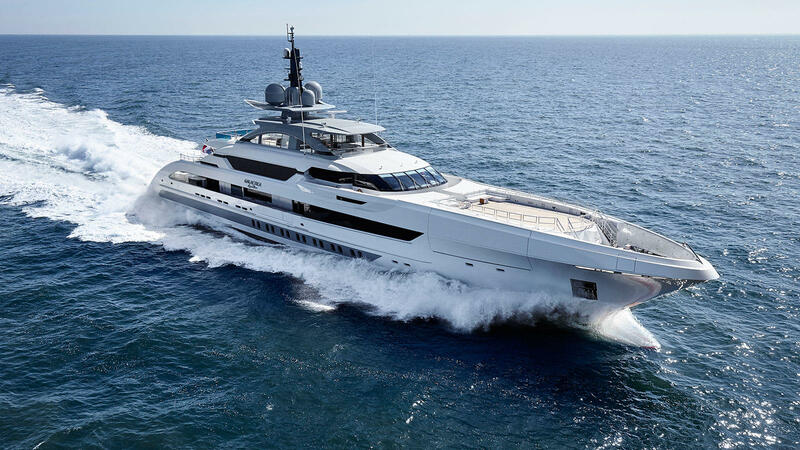 Recently refitted, this 72.54 metre John Bannenberg masterpiece has never featured in a magazine and is still one of the top 200 largest yachts in the world. When launched in 1994, she was one of the first yachts to feature a gym and spa area. 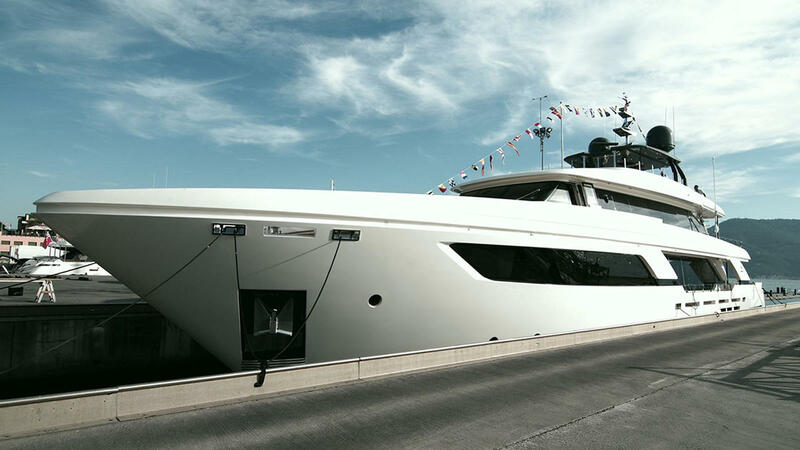 The latest Custom Line flagship arrives in time to celebrate the Ferretti Group’s 20th anniversary. 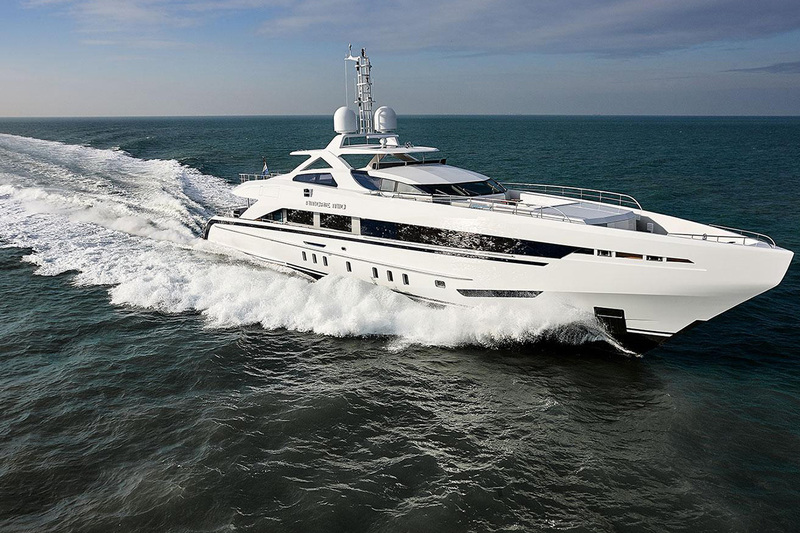 A high bow and huge windows, including the sleek wrap-around glazing on the upper deck, defines the profile. 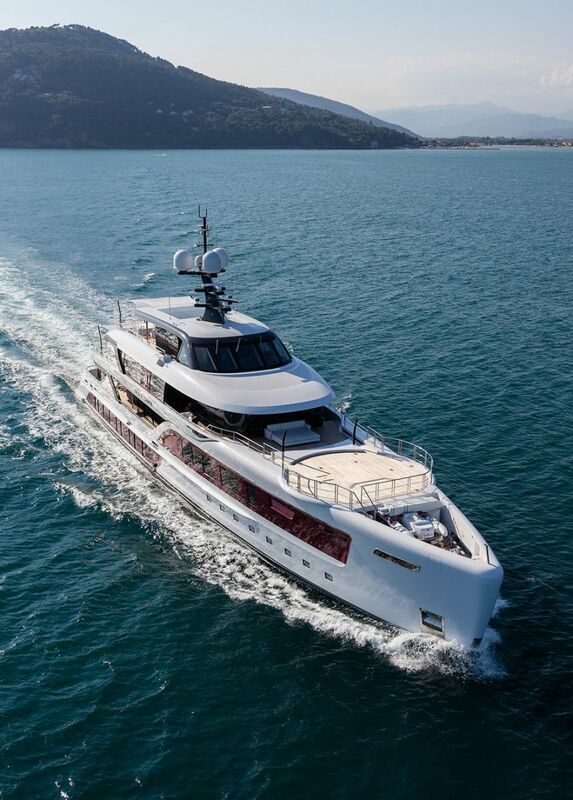 The entire main deck forward is dedicated to the owner, and has a wide-body master suite. Packed with innovations, including latest-generation electric captive winches and a lithium polymer battery system that aids silent running, 38.15 metre Dahlak proves Perini Navi’s commitment to advanced sailing technology. 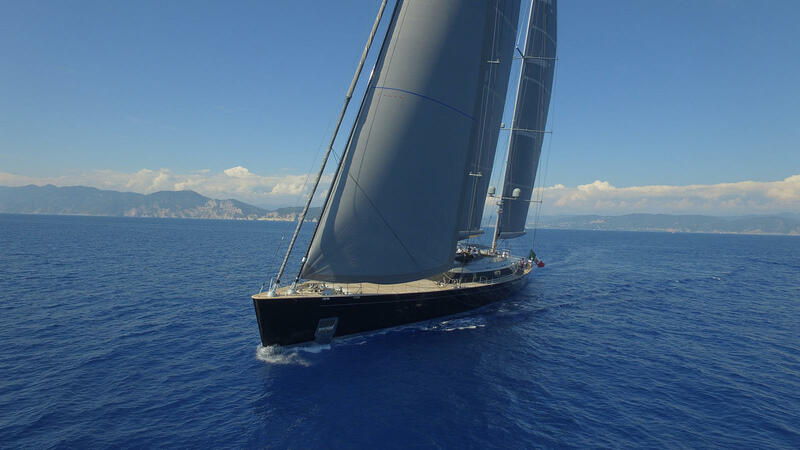 The 51.4 metre mast is the star of her carbon fibre rig, which helps support a sail area of more than 1,870 square metres. 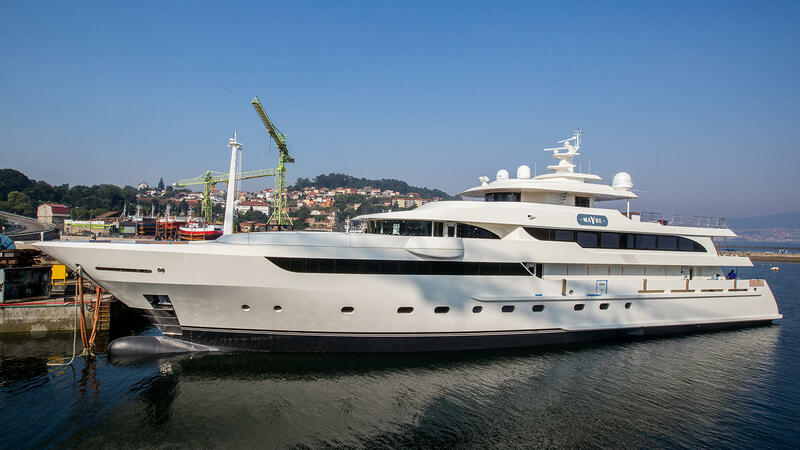 Commissioned by a serial superyacht owner, Domani is a 45 metre displacement yacht that was launched by Benetti in April. Visitors to the Monaco Yacht Show will hope to learn more about her Carlo Galeazzi interiors, details of which have been closely guarded. Key features include an enclosable sky lounge, owner’s balcony and accommodation for ten guests split across five suites. 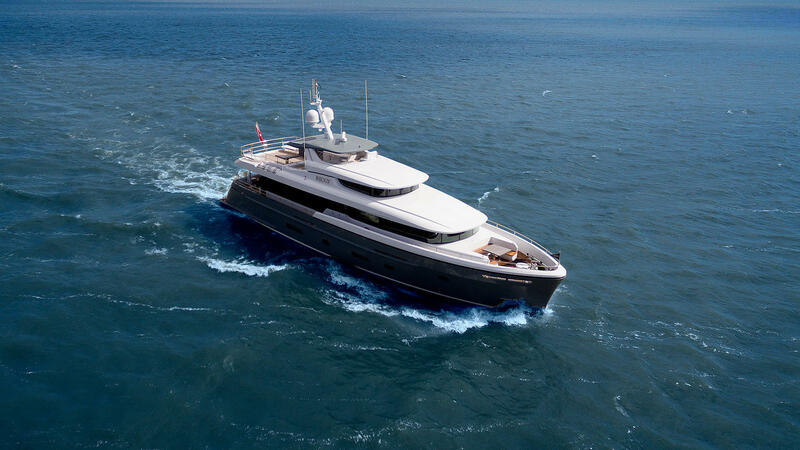 Highly efficient performance is the calling card of the award-winning, axe-bowed Palumbo 40M Sport series. Divine can reach a top speed of 20 knots or cruise economically at 16 knots. Her big volume allows accommodation for 10 guests and eight crew members. 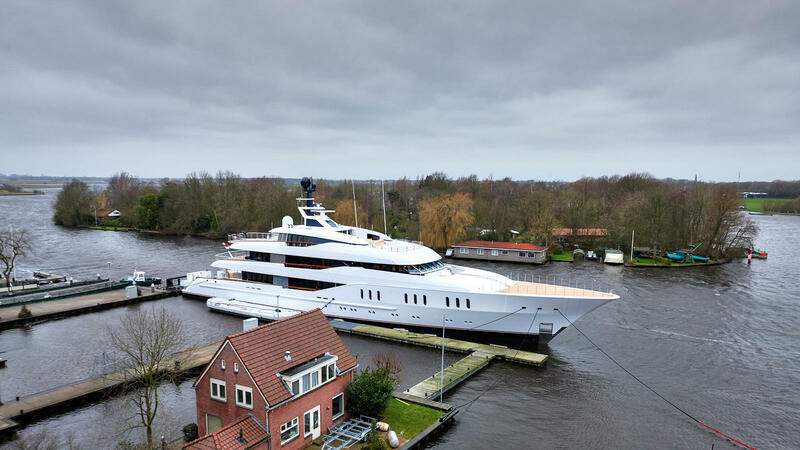 The latest Amels 180, from the Dutch builder’s semi-custom Limited Editions range, is the intoxicating 55 metre Elixir. The timeless lines are by Tim Heywood, with interiors from Laura Sessa Design. Shooting across the water at 30 knots is 70 metre Heesen Galactica Super Nova, the largest yacht to use the innovative Fast Displacement Hull Form developed by Van Oossanen Naval Architects. Speed was just one of the must-haves for the owner, along with a swimming pool with a waterfall. Eye-catching lines are by Espen Øino, while Sinot Exclusive Yacht Design’s interior makes use of subtle pops of colour. Wider Yachts’ 46 metre transformer superyacht Genesi – its first superyacht yet – will show off its ample beach club, spacious cabins, breezy indoor/outdoor living areas and large matching tender at the 2016 Monaco Yacht Show. 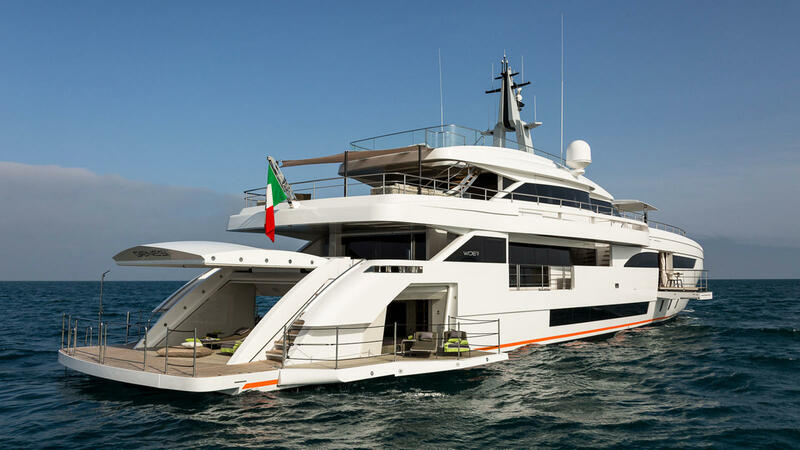 This is afforded thanks to an innovative hybrid propulsion system that places the engine room in the bow, and also provides impressive performance on this quiet Italian superyacht. 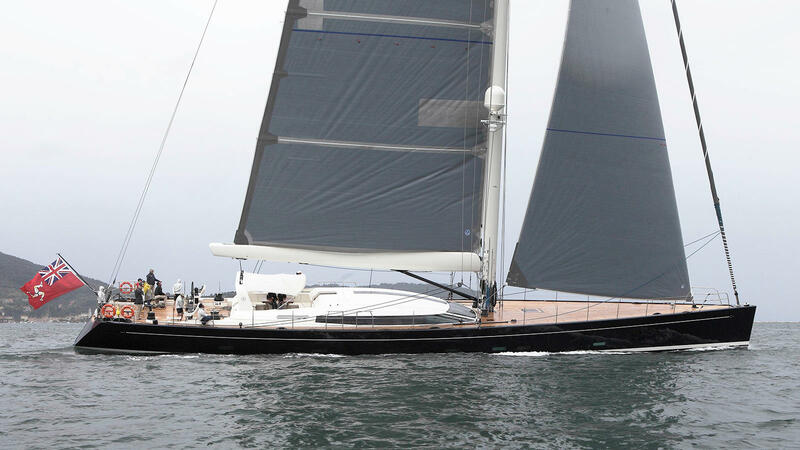 The Turkish built Giaola-Lu is heading to Monaco this year to show off the fine craftsmanship of Bilgin Yachts. 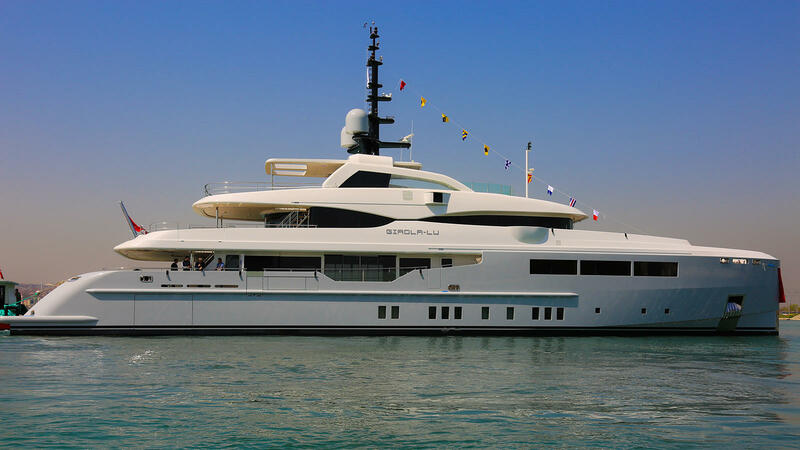 Her Mexican owner specified a high-tech interior for this 46.8 metre yacht, including smartphone controls for the Harman Kardon sound system, curtains, air conditioning, lighting, televisions and security cameras. The first hull in Otam’s custom range, Gipsy has a layout by Tommaso Spadolini that measures 35.2 metres and makes excellent use of her volume. The upper deck is entirely dedicated to the owner, freeing up the main deck for a 40 square metre saloon with movie theatre and full-beam dining room and galley with 25 square metre larder. The lower deck has four VIP cabins, all with en suites. 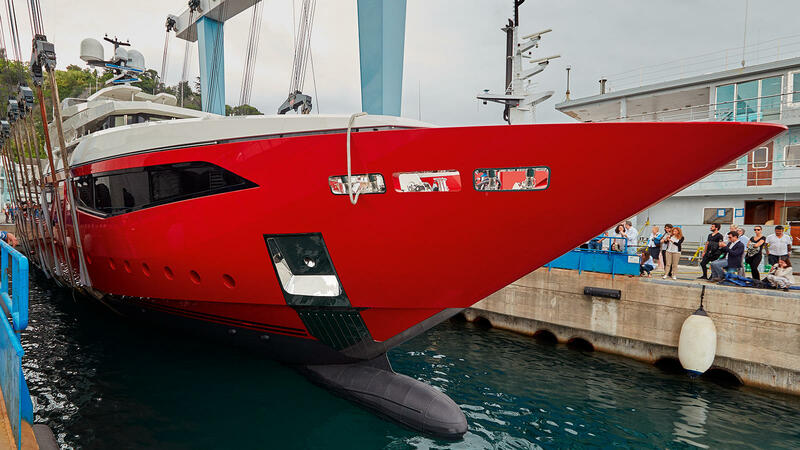 With a cherry-red paint job and sleek lines by Hot Lab Yacht & Design – note the steep stern rake – Mondomarine’s 49.2 metre Ipanema demands to be noticed. Contrasting the powerful, sports car exterior, the interior is classically inspired. Columns, friezes and bas-reliefs abound, and more than a dozen different kind of marbles were used. 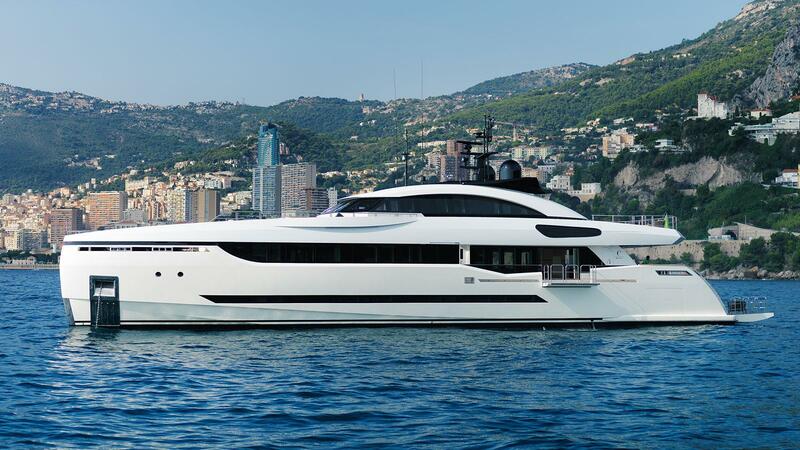 The debut launch from Dynamiq Yachts, Jetsetter will be a real must-see yacht at Monaco 2016. The stand-out feature on this 38.6 metre grand tourer yacht is her class-leading sundeck, which measures 20 metres long and can be split up into five distinct zones. In keeping with such a sporty name, Jetsetter uses Fortjes pod drives to reach a top speed of 21 knots. 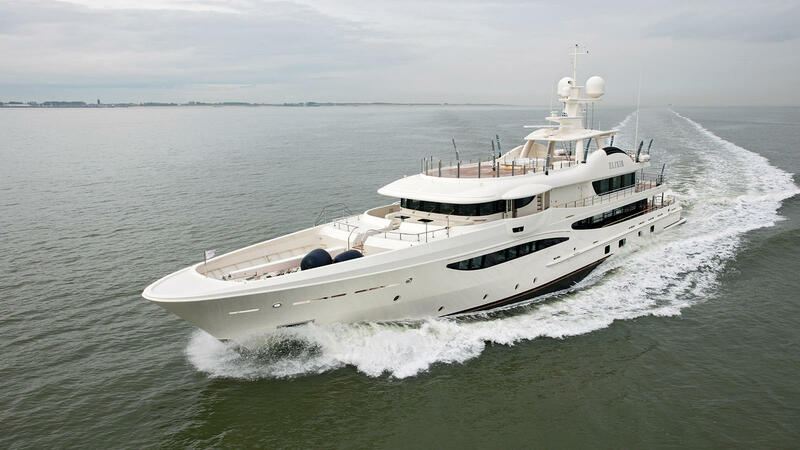 Part of Feadship’s new 34 metre semi-custom range, Kamino is heading to the 2016 Monaco Yacht Show. With the highest proportion of superstructure glazing in any Feadship to date, this semi-displacement yacht features bright and airy interiors by London-based studio Bannenberg & Rowell and 2.45 metre high ceilings in the main saloon. Twin 1,800hp MTU engines will propel Kamino to a top speed of 19 knots. The first ever superyacht launched by Turkish yard Sarp Yachts, La Passion will be attending this year’s Monaco Yacht Show. 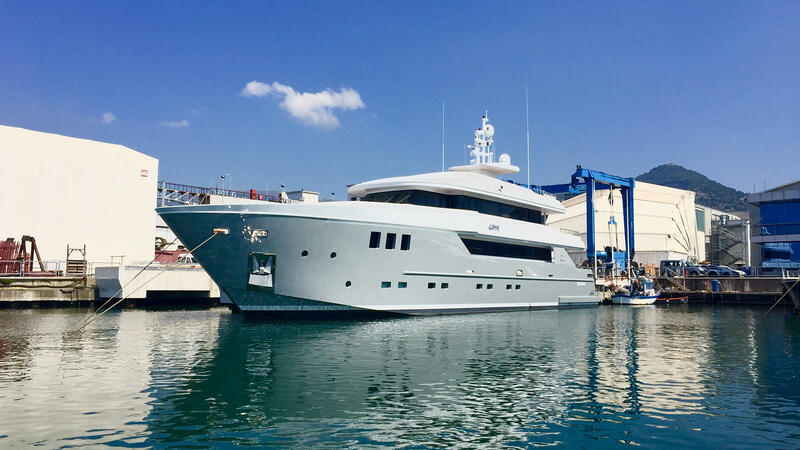 Built in Antalya from a steel hull and epoxy composite superstructure, this new 46 metre is sure to turn heads in Port Hercules with her curvy exterior. Interior design is by Adam Lay Studio with accommodation for 12 guests split across five cabins. The new 59 metre by shipbuilder Metalships Rodman is the largest yacht ever designed and built in Spain. Maybe has a range of 5,000 nautical miles and a helipad on the upper deck. There’s plenty of luxury onboard with the Marcelo Penna interiors featuring a gym, massage room, sauna and cinema saloon. 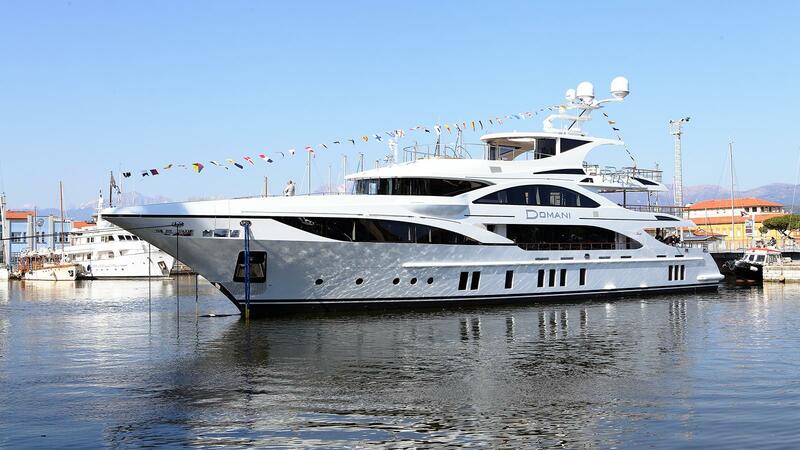 Known for its sporty open yachts, Overmarine is ready to show off Namaste, its first foray into long-range cruising. This steel-and-aluminium yacht from the Mangusta Oceano 42 range is the Italian builder’s first displacement yacht, boasting a range of 4,000 nautical miles. Designed by Alberto Mancini, well-considered details abound, and interiors are decorated in linen, silk and soft leather. Light-filled interiors are all but assured in the new Admiral C Force 50 Ouranos thanks to its unique superstructure featuring huge glazing, glass bulwarks and vertical windows along the main-deck master suite. The exterior by Uniellè Yacht Design has a bold, geometric feel and she can reach a top speed of 17 knots. 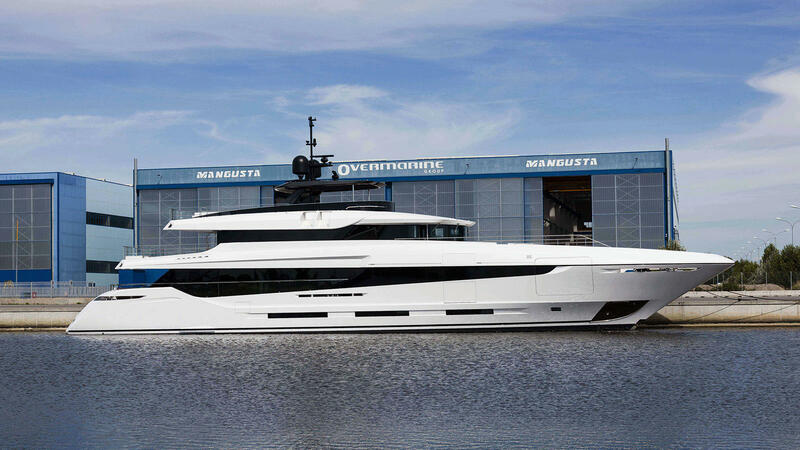 Built by the Italian Sea Group for an experienced owner, the Admiral E Motion 55 Quinta Essentia has a high-tech hybrid propulsion system for silent, eco-friendly performance. Each deck is dedicated to unwinding – a spa on the lower deck, large pool with waterfall on the main, indoor/outdoor main saloon on the upper, and gym and spa bath on the top. A snazzy paint job brings out her exterior lines by Dobroserdov Design. 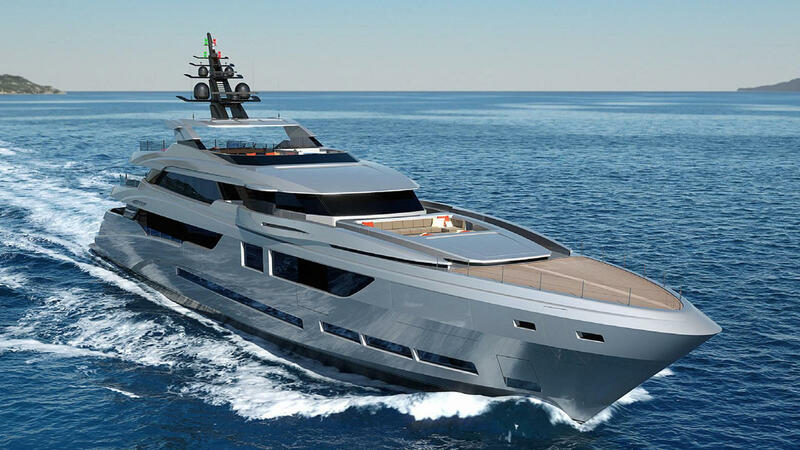 Silver and sporty, Sara Star is Mondomarine’s first 60 metre and its new flagship. 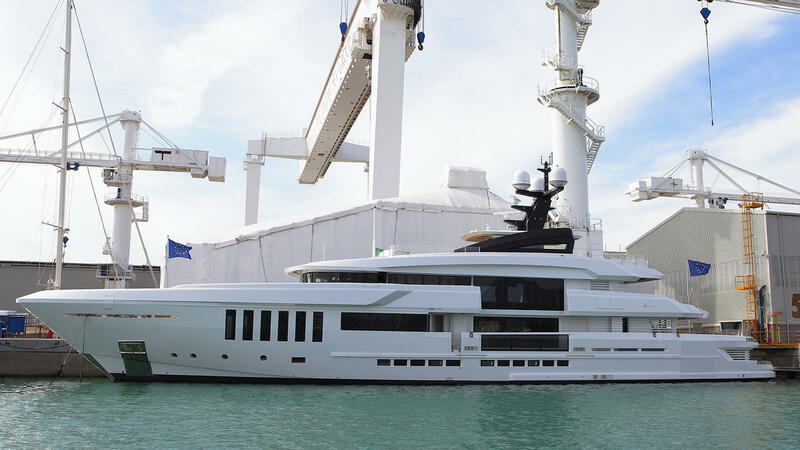 She marks the first in a new series of fast, innovative yachts from the Italian builder — ranging between 41.5 metres and 60 metres. Styled inside and out by Luca Dini, this all-aluminium yacht runs at a top speed of 21 knots. Flagship of the Finnish yard and one of the best Nautor’s Swan sailing yachts to date, the Swan 115 merges cruising comfort and racing prowess. 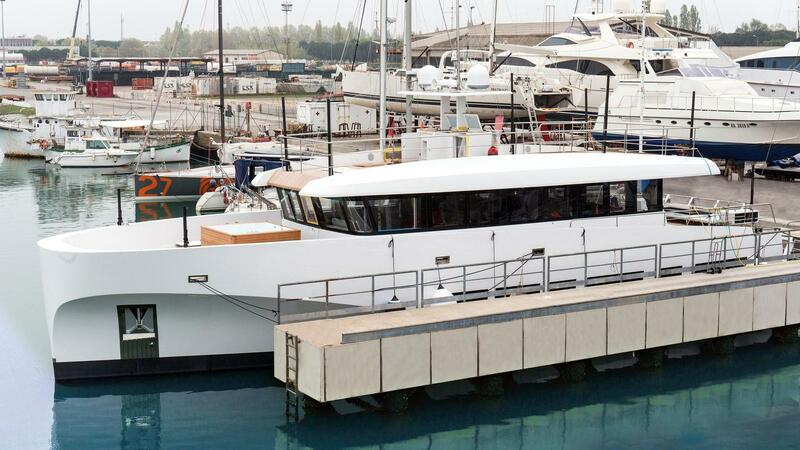 The first to launch had a semi-raised saloon, while hull number two, Shamanna, is a low-profile Flush Deck version, offering uncluttered deck spaces and lean lines. Germán Frers designed the hull with performance in mind, allowing for maximum downwind speeds. 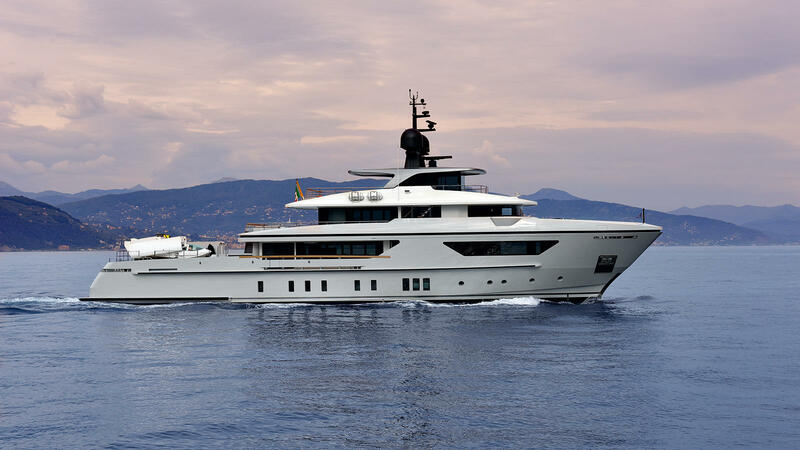 Custom built for American owner Bill Duker, 70 metre Sybaris was designed to be iconic. 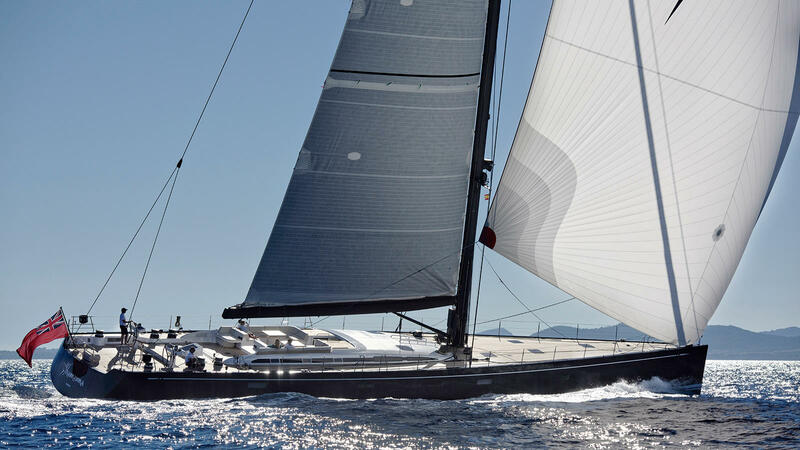 She is the second-largest Perini Navi yet, and with a hull by Philippe Briand, carbon fibre rig and immense 3,000 square metre sail plan she will be a likely contender on the regatta racecourse. The new 66.25 metre Feadship Vanish, designed inside and out by Eidsgaard Design, has quite a few tricks up her sleeve. There is the free-floating staircase in the full-height atrium, the main-deck balcony that extends to sit flush with the floor, and the optical illusion of the transom stairs that gently slopes from the aft deck to swim platform. The roomy, main-deck VIP can also easily convert to two separate cabins. Launched earlier this year as the fourth hull in the Wally Ace series, Wally Casa will be attending this year’s Monaco Yacht Show. This 27.33 metre superyacht was commissioned by an American owner and features interiors that were developed by Wally Yachts in collaboration with Luca Bassani Design. X is the second hull in Sanlorenzo’s 460EXP explorer yacht series, designed for reaching far-flung destinations with complete autonomy. X is able to carry a submersible, seaplane, helicopter or sailboat on board, launched by a dedicated crane. 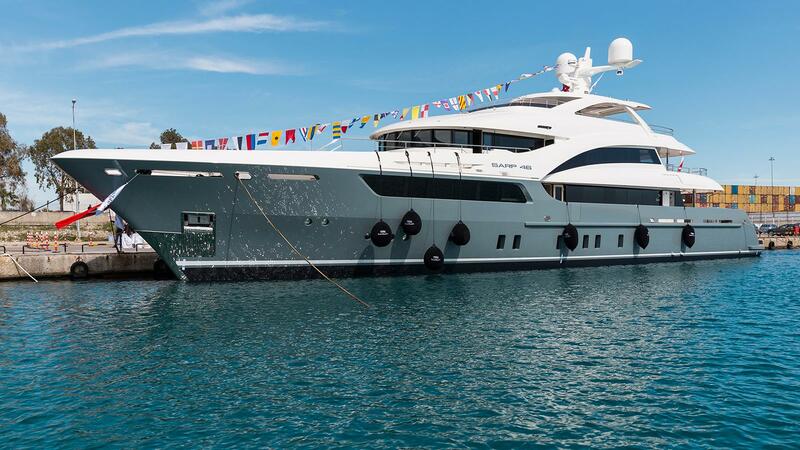 Sanlorenzo will also have its latest 46 metre steel superyacht on display.